Higher interest rates may not be so bad after all, especially if you’re in Japan. 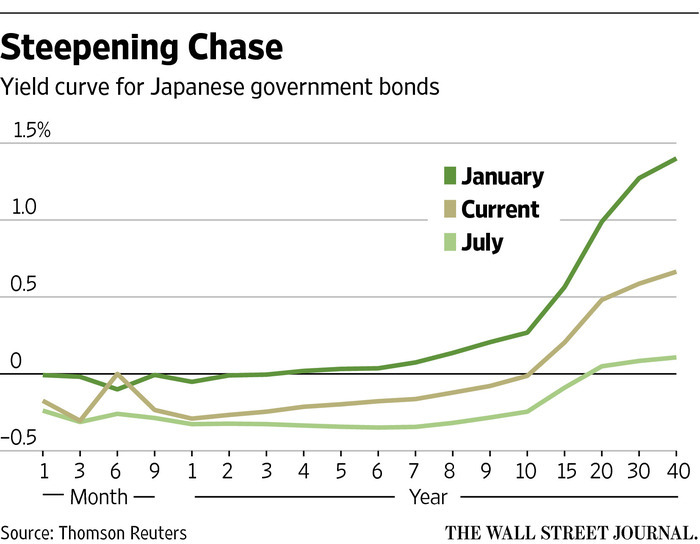 Japan’s subzero-rates policy has had a “powerful impact,” as Bank of Japan Gov. Haruhiko Kuroda recently said, in pushing down interest rates. But judging by the collateral damage—record low profits at Japanese banks, which are charged with transmitting the BOJ’s easy-money policy to stimulate the economy—it has likely gone a touch too far. Signs have emerged that the central bank intends to steepen its yield curve—that is, push long-term rates up and suppress short-term rates. It has shifted around its bond purchases, buying more short-term Japanese government bonds and on the whole buying fewer bonds. Long-term rates rose are up almost half a percentage point since July. Yet even after the recent steepening, the difference between two-year bonds and 10-year bonds is half what it was before negative rates came into effect. To alleviate further pain, the BOJ at its policy meeting Sept. 21 could nudge the yield curve steeper by committing to lowering the short-term rates that banks typically borrow at, while letting long-term rates that they lend at float higher. That should boost Japanese banks’ margins. They rely on deposits for 60% of their funding, so the small spread between deposit rates and lending rates has sent lending growth to its lowest level since 2013. Why grow assets if you can’t make money on them? At current lending rates, banks’ interest income this year could be down almost 20%, which would mean a fall of 16% in profits, according to estimates by Capital Economics. Eventually the weakening profitability reduces their ability to absorb risk, and lending standards tighten. Gov. 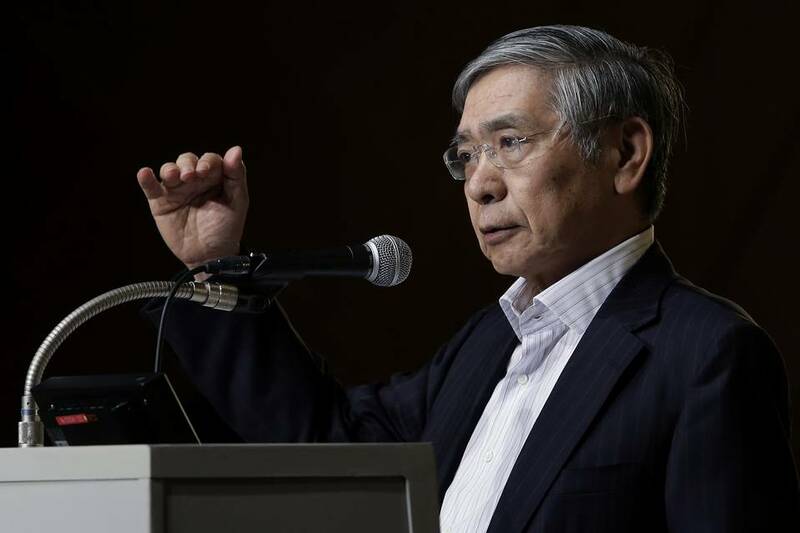 Kuroda finally acknowledged in a speech last month that such a breakdown in monetary-policy transmission is a problem. Markets will perceive this yield-curve nudge as mere tinkering rather than a big-bang move to get inflation closer to the BOJ’s 2% target. Even if it works in restoring spreads to where they were before negative rates, it’s just making up ground that was only recently lost. Before negative rates, banks were perfectly willing to lend, but demand from companies and consumers was anemic, as it continues to be. The BOJ’s possible steeping campaign is already having an effect in the U.S. Higher long-term rates in Japan will—at least at the margins—keep domestic pension and insurance savings closer to home, rather looking abroad for yield as is has been. That has helped send U.S. Treasurys higher. With the European Central Bank on the sidelines and the Federal Reserve likely pushing back a rate increase until later in the year, the Bank of Japan is the player right now that can at least move the scales.